Netflix announced today that the drama series The Rise of the Phoenixes will be available on their streaming platform internationally starting September 14th. The show will be available in more than a dozen languages around the world when it premieres. The Rise of Phoenixes is a 70-episode series loosely based on Huang Quan, a novel by Tianxia Guiyuan, and co-produced by Netflix along with Croton Media (China Syndication), K. Pictures, Hao Mai Culture, Iqiyi, COL Group and New Film Association. The series features iconic names in the Mandarin movie industry including Shen Yan and Liu Haibo (Chinese Style Relationship) as directors, William Chang (The Grandmaster, In the Mood for Love, Ashes of Time) as artistic director and costume designer, as well as Chen Kun and Ni Ni as the leading cast. This series not only marks the debut of Ni Ni’s first role on television, but also Chen Kun’s highly anticipated return to the small screen after a decade. “We’re excited to offer a top quality title like The Rise of Phoenixes to our members around the world. We look forward to growing our Mandarin title catalog with more stories that bring to life the intriguing heritage of Chinese culture,” said Rob Roy, Netflix Vice President of Content – Asia. 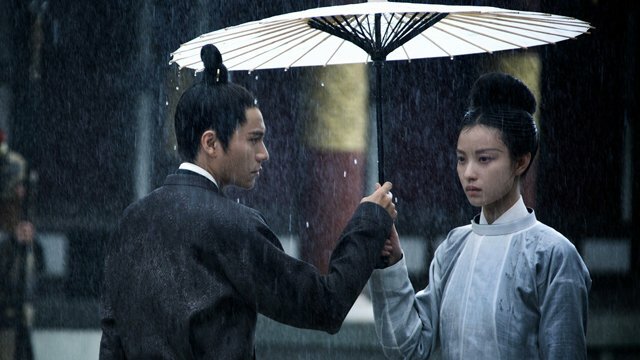 The post Mandarin Drama Series The Rise of the Phoenixes to Stream On Netflix appeared first on ComingSoon.net.